Thank you for visiting us at SPIE Photonics West. 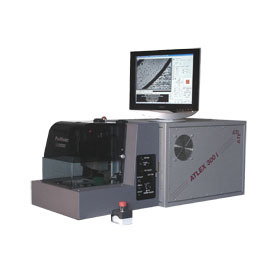 The ATLEX series of short pulse excimer lasers employs state-of-the-art metal-ceramic technology and creates powerful new concepts in equipment and design of the discharge process. The patented OPEC technique of intensified ultra-fast preionization provides highly efficient laser performance with pulse duration of a few nanoseconds and enhanced reliability of all high voltage components. 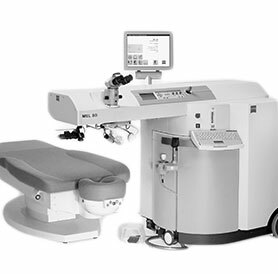 The ATLEX laser is used in wavefront assisted refractive eye surgery systems. The inherent stability and reliability of the ATLEX laser is combined with flying spot optics and can be controlled by a unique fractal algorithm to give smooth, symmetrical ablation of eye tissue, short surgical procedures and reduced side-effects. (< a few ns) at 193 nm are used by various analytical tools e.g. excimer laser high-fluence ablation systems in connection to Laser Ablation - Inductively Coupled Plasma - Mass Spectrometry, or short LA-ICP/ICP-MS in the fields of materials sciences, geology, petology and life sciences, only to name a few. 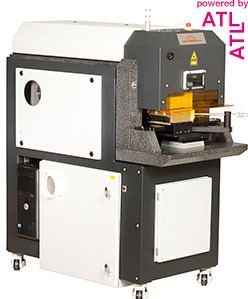 The ProMaster laser workstation from ATL/Optec uses the ATLEX laser to give big micromachining performance from a compact package.